Lincoln Ave your MINI Cooper Dealer Alternative for all of your repair and service needs. All Factory scheduled maintenance and service are performed as per Factory Specifications and at great savings over Dealer's costs. At Lincoln Ave Mini Cooper Repair Bergen County NJ we specialize in Mini Cooper factory scheduled maintenance and are capable of solving any issue you may have by diagnosing your Mini Cooper with the latest diagnostic technology. Our technicians can perform any repair or service of your Mini Cooper that may be needed. We guarantee that your vehicle is in safe hands while making sure that you are happy and satisfied with our quality of service. It is convenient to drop off your Mini from any of the surrounding towns of Paramus, Ridgewood, Franklin Lakes and Glen Rock and we save you over Deal Cost. We offer expert knowledge, quick turnaround and the most personalized service at the most reasonable rates. We are very confident in our capabilities of handling any problem related to your Lincoln Ave Mini Cooper Repair Fairlawn, New Jersey. We provide effective solutions for your Mini Cooper auto repair concerns in an exceptionally competent approach. 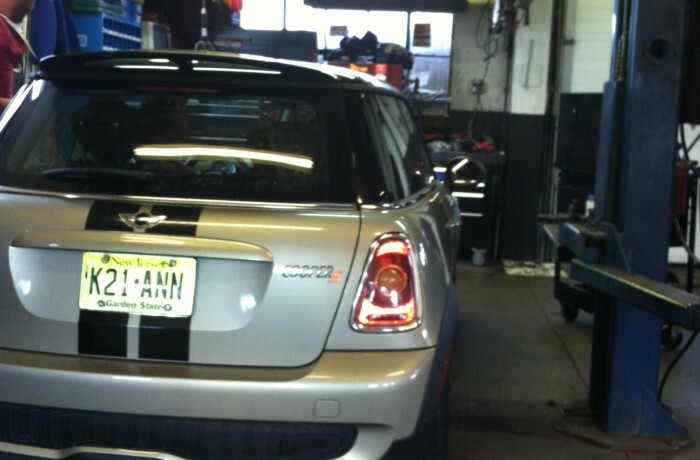 At Lincoln Ave Mini Cooper Repair Paramus, we always stress the fact that we only use quality original factory parts. For every repair and service, we stay updated on the latest technology. Our team is very supportive and can easily answer any of your questions. For more assistance on the repair and service of your Mini Cooper you can contact us and we will be happy to assist you with the best of our knowledge.